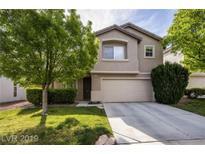 Below you can view all the homes for sale in the Highpointe Sunridge subdivision located in Henderson Nevada. Listings in Highpointe Sunridge are updated daily from data we receive from the Las Vegas multiple listing service. To learn more about any of these homes or to receive custom notifications when a new property is listed for sale in Highpointe Sunridge, give us a call at 702-323-5903. Spacious backyard with sparkling pool oasis! A must see! ! MLS#2087965. United Realty Group. Enjoy your opulent Master Suite complete with balcony & jetted tub.Welcome Home! MLS#2088885. BHHS Nevada Properties. Kitchen features upgraded granite counters,cabinets,stainless appliances,fixtures & built in wine rack*Tile flooring throughout first flr & updated 1/2 bath*Master suite w/sitting/living area*Master bath features double sinks, separate tub/shower*Built in's in master walk-in*Jack-in-Jill for second & third bedrooms*Supersized back yard w/mature landscaping,plenty of rm for pool*Fresh exterior paint*Close to parks & shopping too! MLS#2087156. BHHS Nevada Properties.